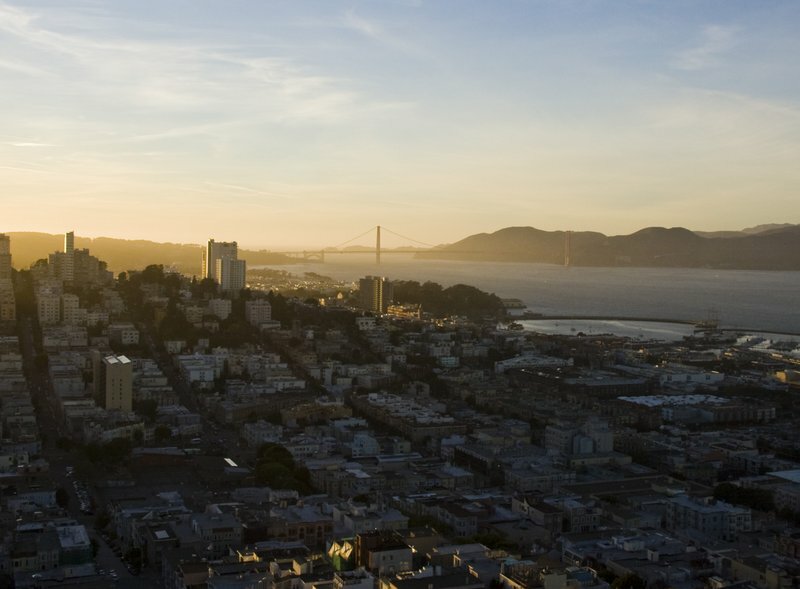 San Francisco is renowned for being one of the most liveable cities in America, and it has a respect for the arts and sustainable living that puts it on par with Europe’s most forward-thinking cultural hubs. There are so many exciting activities that the hardest part of putting together the killer itinerary is deciding what not to do! But if I may be so bold, for our last hurrah on the way home from two years in Europe, I think we cracked the right balance of tourism vs. exploring, planned vs. spontaneous, cultural vs. just-for-fun, well-known vs. underground.Here are The Antipodean’s 14 top recommendations for a killer week in San Francisco. If you’ve ever read the classic novel On the Road by Jack Kerouac, you simply have to visit the Beat Museum. We’ve been reading it aloud on every roadtrip, and his view on the pulsing, smoky, jazz heart of San Francisco has influenced my view of the city more than any other. 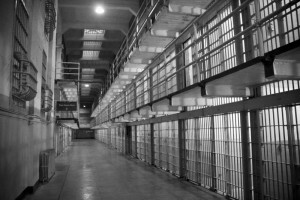 Even if you haven’t read it, you’ll be amazed just how much the Beat Generation of artists and poets have influenced your own life through their carpe diem approach to life in the 50s – which is credited for spawning the hippie movement. 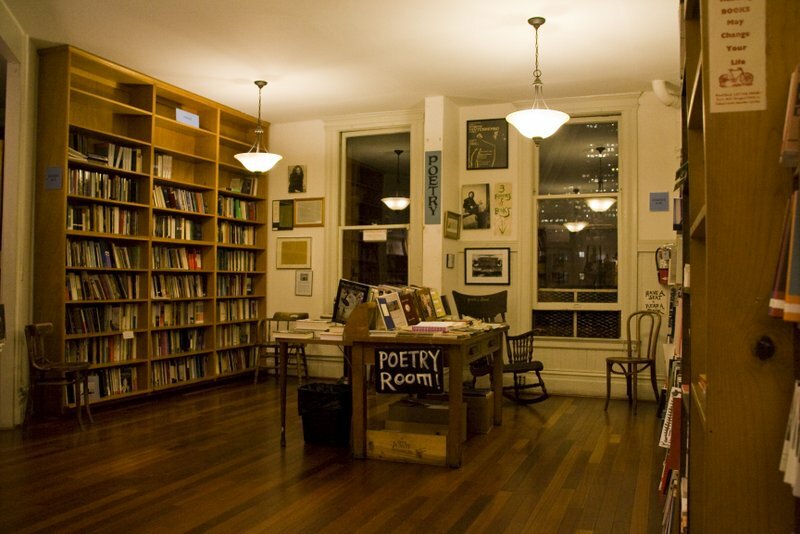 Afterwards, pop across the road to City Lights bookshop. 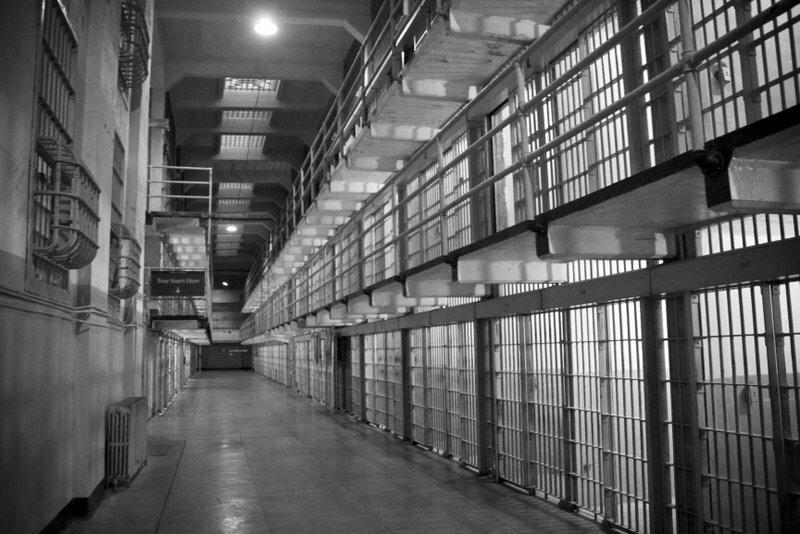 This is where Allen Ginsberg’s incredible poem Howl was published – resulting in a trial for charges of obscenity that were thankfully overturned. 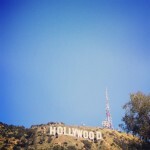 Today it’s still a beacon attracting off-beat poets from all over the world. 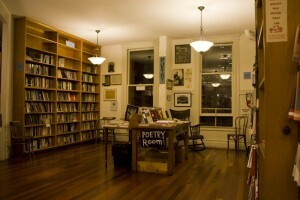 The upstairs reading room at City Lights bookshop. 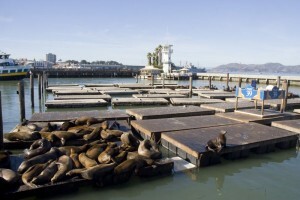 The epicentre of family-holiday San Francisco is undoubtedly Pier 39. Though some call it a tourist trap, the old-fashioned candy stores and amusement arcades are a fun way to spend an afternoon. Grab lunch at Boudin Bakery – their sourdough is some of the best in the Bay Area. 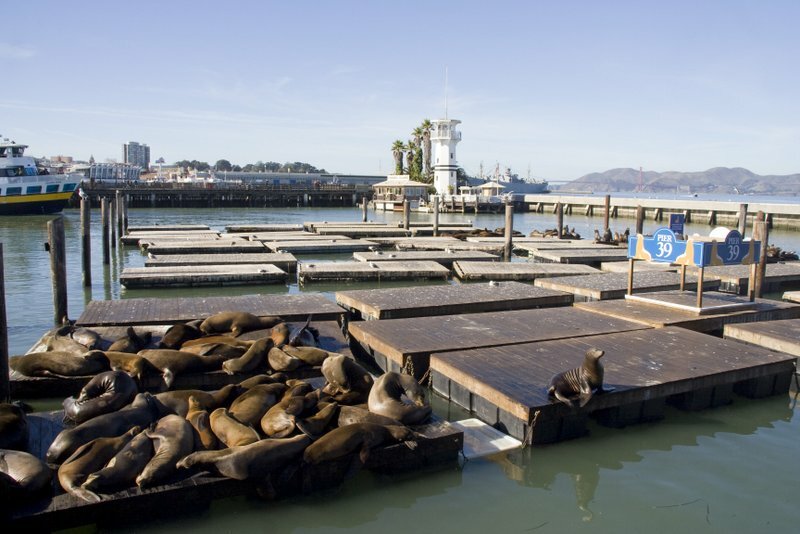 And remember your camera – the tribe of seals right next to the pier can be quite mesmerising! It’s like watching a slightly more pungent soap opera. 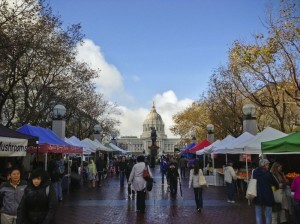 Locally sourced organic food is the pride of San Francisco. You can’t visit the city without stumbling across a Farmers Market with dozens of stalls selling all kinds of delicious varieties. 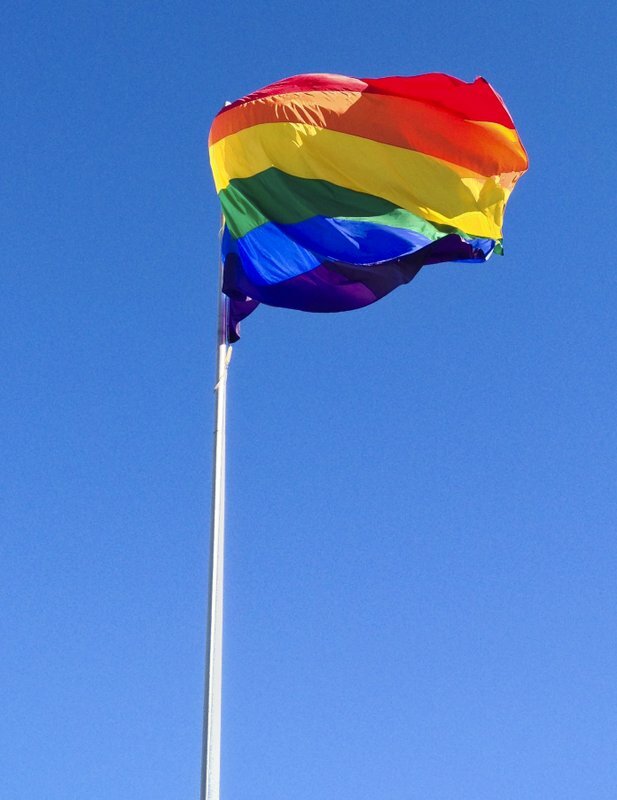 On our first day we ran into the Civic Centre one – right in front of City Hall (open Wednesday, Friday and Sunday). It’s the best option in the city for delicious healthy food. 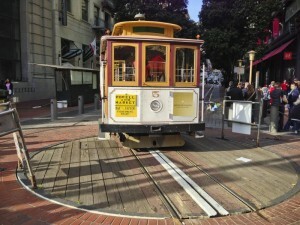 Cable cars are synonymous with San Francisco for most tourists. And consequently, the queues at the famous hand-operated turnaround can be an hour long. So long, in fact, that we saw the same rubbish bin foraged by nine different homeless people seeking pizza crusts. 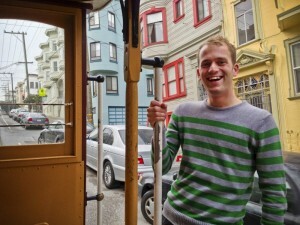 While the cable car is undeniably fun (especially on the steep parts! ), I actually found the ‘F’ line to be more memorable. 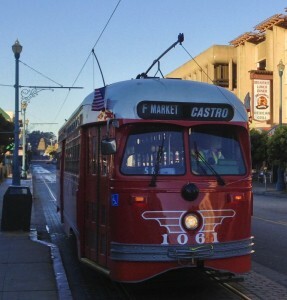 It’s the main line down Market Street towards Fisherman’s Wharf, and has returned retired streetcars from all over America – and even a few from Milan – to their former glory. 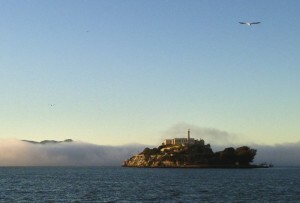 Of everything we did in San Francisco, I think Alcatraz was my favourite. 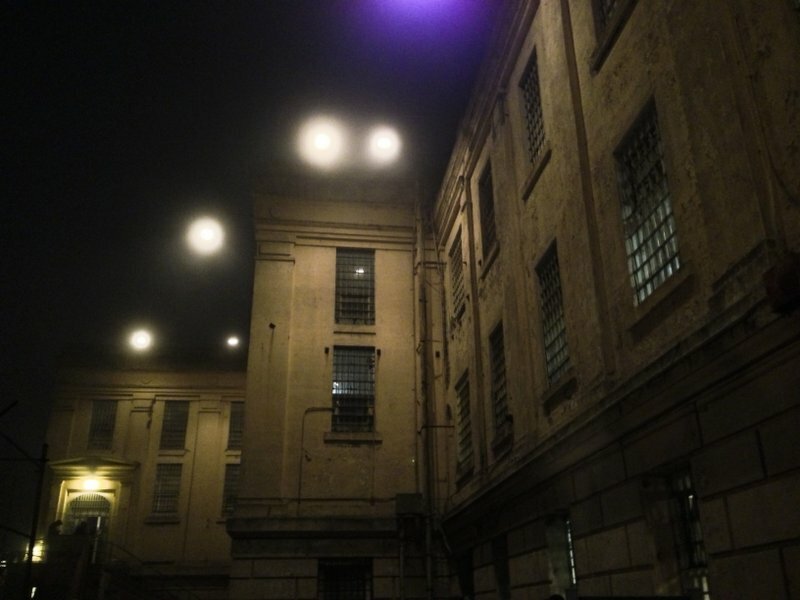 The mysterious prison island has inspired writers of ghost stories for years – not least because of the mist that regularly surrounds it. 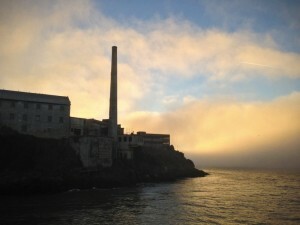 I definitely recommend taking the sunset trip: it’s the only one that does a full loop of the island, plus the excellent 45 minute audio guide is included. This has been extremely well put together and really brings it to life. The setting sun casts the island into an eerie sillhouette. 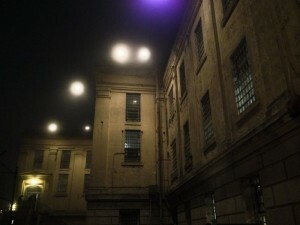 A row of cells inside the prison. The mist of Alcatraz makes the prison even spookier on the outside. 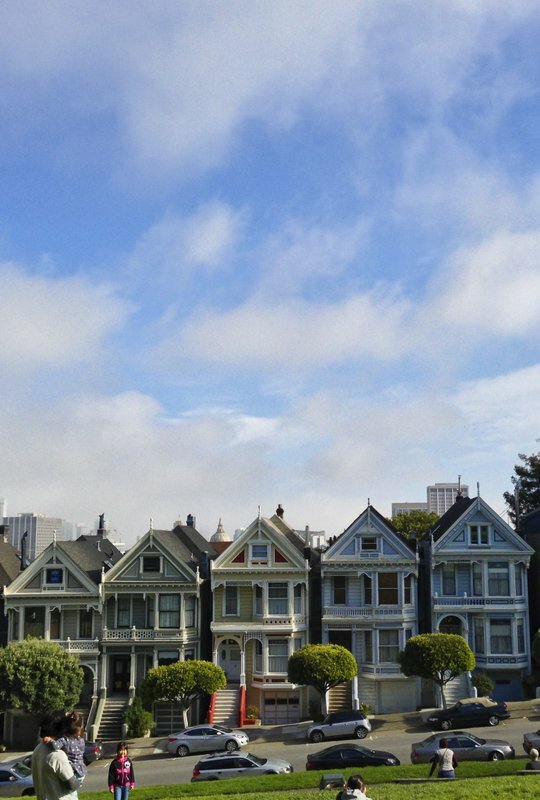 If you can remember what John Stamos looked like with an 80s mullet, you’ll enjoy a trip down memory lane when you visit the Painted Ladies. 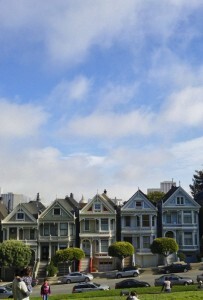 Yes, this row of cutesy houses was the home of the Tanner Clan in Full House – along with about 70 other movies and TV shows. 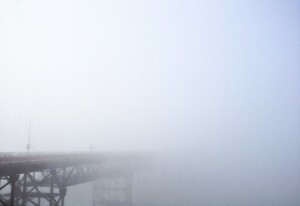 If you have a clear day in San Francisco, head straight to Fort Point to check out the Golden Gate Bridge from its best point of view (as selected by Alfred Hitchcock to conclude his classic film Vertigo). Unfortunately the reason I can recommend you pick a clear day early in your trip is from my own failings… San Francisco’s famous fog can render this stellar view unrecognisable. 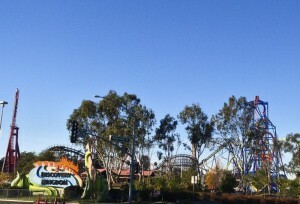 Fans of adrenaline-pumping roller coasters will be in their element at Six Flags Discovery Kingdom. Eight of the world’s craziest coasters are at your disposal. ‘Nuff said! The 1915 Panama-Pacific Exposition left a lasting mark on San Francisco in the form of the Palace of Fine Arts. 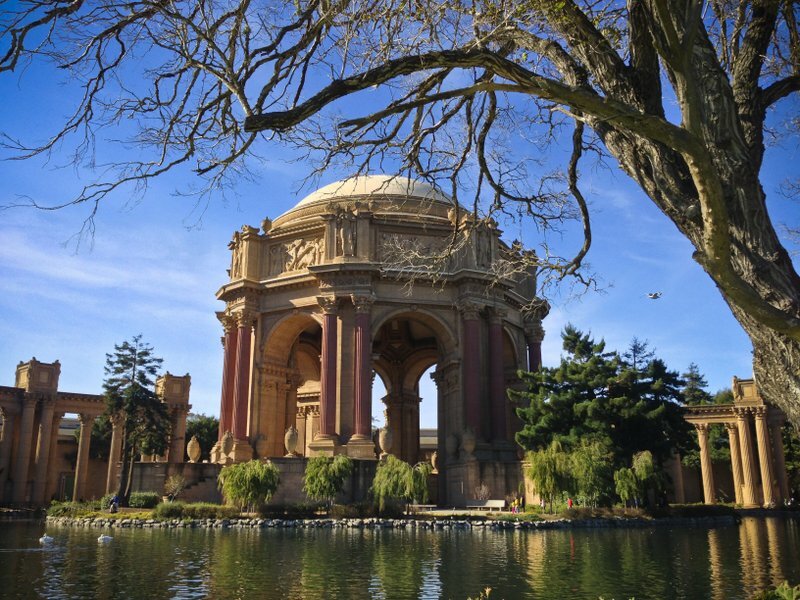 Don’t let the classical architecture fool you – this colossal construction serves absolutely no purpose except to look wonderful. And even the best Latin scholar will be unable to translate the carved writing… it’s gibberish! 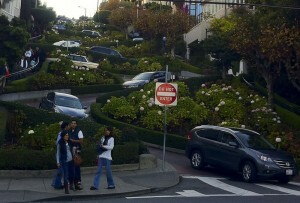 Often called the crookedest street in the world, the stretch of Lombard Street on Russian Hill between Hyde and Leavenworth streets is great fun in a car – consisting of eight sharp hairpin turns. This is by far the best restaurant we discovered in San Francisco – but there’s a twist: nobody will want to kiss you for days afterwards. 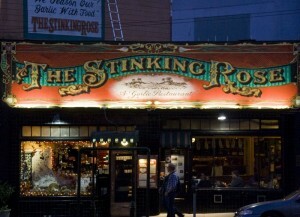 The Stinking Rose is a garlic restaurant. My meal proudly announced in the menu that it included 30 cloves. However the chefs are true connoisseurs and it was one of the most delicious meals I’ve ever had. Those with an adventurous streak can try Silence of the Lamb Shanks – served with fava beans and a Chianti glaze. 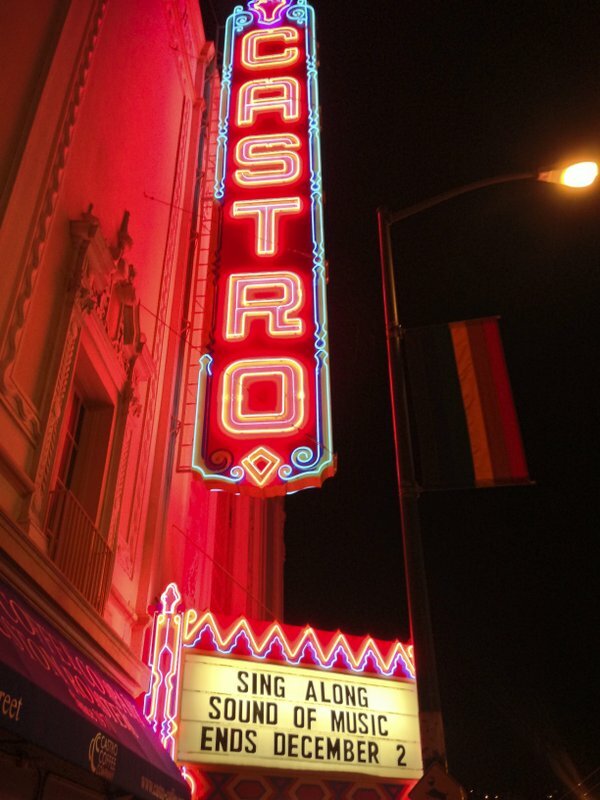 If ‘fierce’ is an adjective you’d like to hear associated with your hair, you’ll definitely enjoy the Castro district. It features sing-a-long Sound of Music, an enormous rainbow flag, and a Judy Garland lookalike. In the evenings, The Mint karaoke bar has very well-thumbed Broadway section, along with pretty much everything Barbra has ever sung. 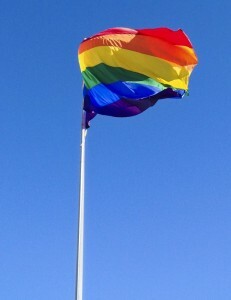 The giant rainbow flag has pride of place in the Castro. 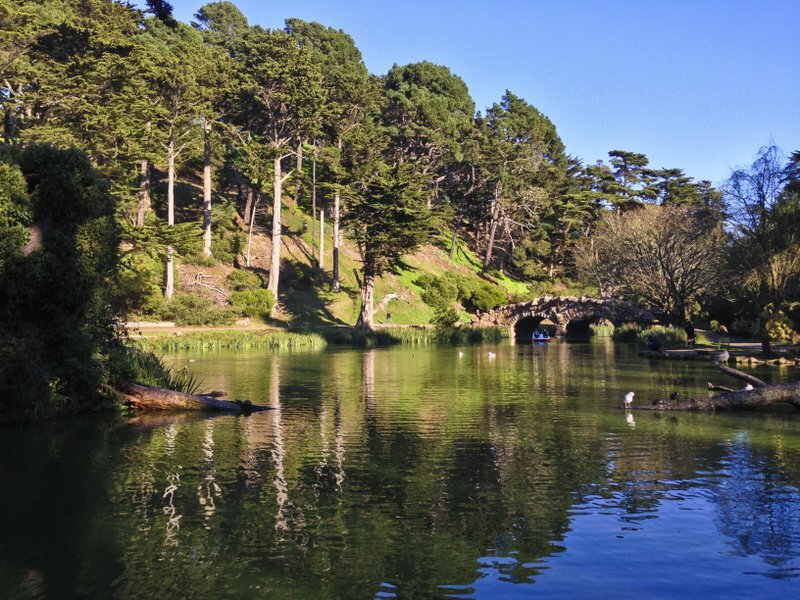 This is my top pick for art in San Francisco, and it has the added bonus of being smack-bang in the middle of Golden Gate park. 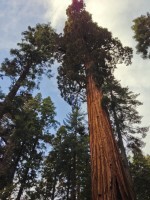 SF MoMA might get more foot traffic, but I thought the exhibitions here were more engaging and better curated. 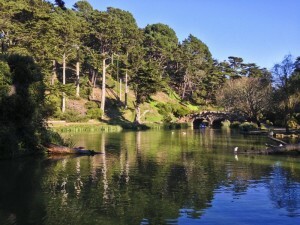 Golden Gate park – enjoy a bit of fresh air after the gallery. For a city known for its hills, San Francisco has surprisingly few high vantage points. Built with money from an eccentric woman who loved chasing fire engines, Coit Tower is one of the few. 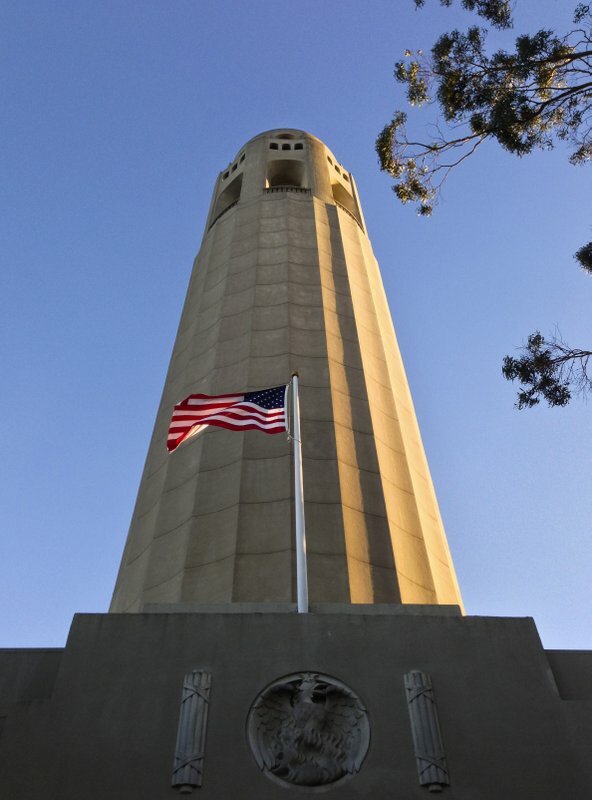 The view over the Golden Gate is hard to beat, and you can even get a culture injection before going up the lift, as the mural in the lobby area was the cause of serious controversy shortly before the tower opened because of its surprisingly open communist themes. 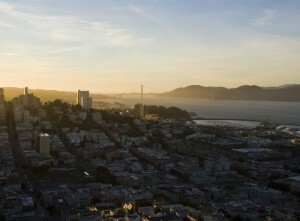 View from the top of Coit Tower – with the Golden Gate bridge in the distance.